Google Search Console (formerly Google Webmaster) is a free service offered by Google that helps you monitor and maintain your site's presence in Google Search results. Connecting your store with Google Search Console and SEO Manager helps you understand how Google views your store and optimize its performance in search results. 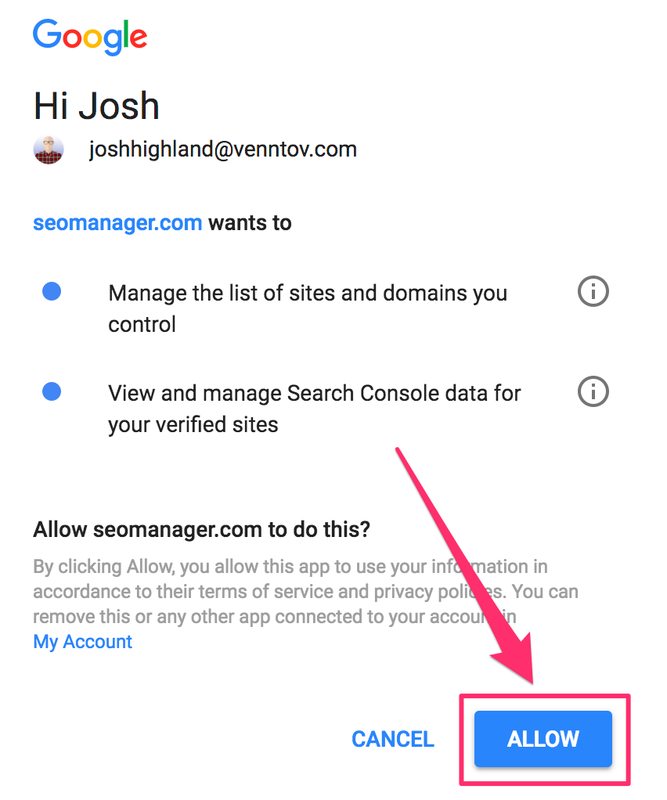 Plus, this connection gives SEO Manager the opportunity to send Google data about your store on a continuing basis. 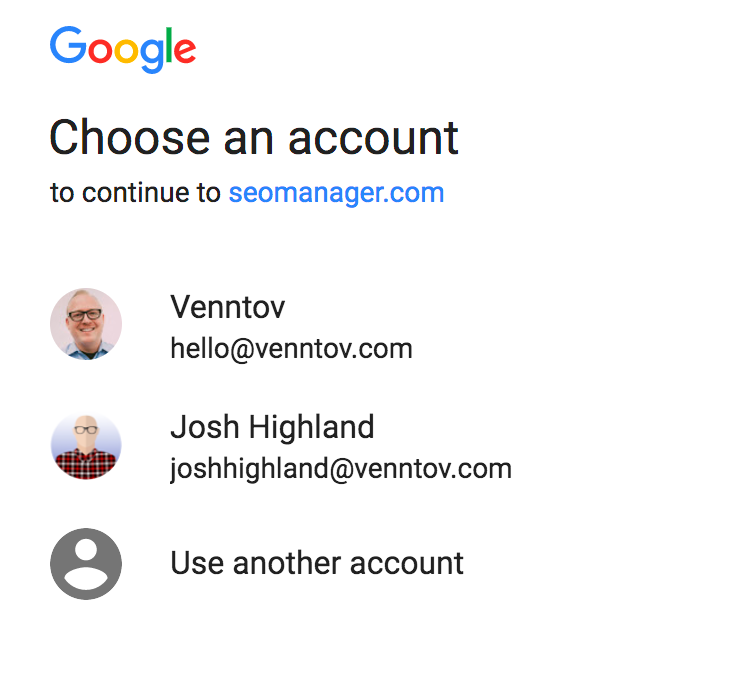 SEO Manager makes it easy to connect your store with Google. Here's how. 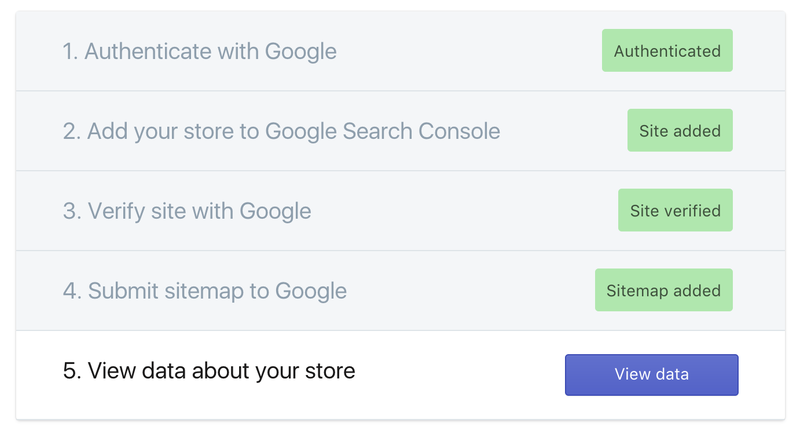 Your store is now connected with Google Search Console. Your sitemap has been submitted, and analytics are currently being processed by SEO Manager from information gathered through our integration with Google Search Console. This may take a few days, but sit tight- the wait is worth it.